INDONESIA – MMM's "Everything is Possible"
Mencepu, Cerapu, Kecupu [Garcinia praniana] is small tropical fruit tree with glossy leaves and very fragrant reddish-pink flowers. Easily found in deep within the verdant rainforests of South Thailand, Malaysia and Borneo. Menchepu (Garcinia prainiana) plants begin a most ancient of rituals. Menchepu is little known by the present generation may be due to the sour taste of the fruit is causing isolated from other local tropical fruits. The fruit is round in shape like a tomato and size also vary according to the fertility of the plant. Normal size of this fruit as the same size of tomato; when its ripe the size is between 30mm – 50mm only. The ripe fruit is orange in colour, while young fruit is green colour. Its skin is very thin, soft, and stick with its contents. Its contents always in orange colour and rubbery flesh. The skin can be peeled by hand and its contents have small flats like mangosteen. 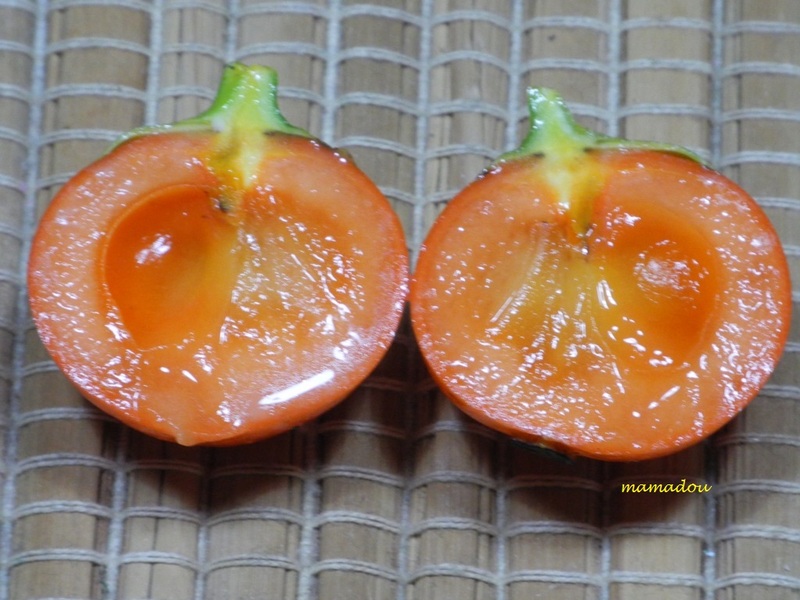 This fruit has seeds about (5mm-8mm). The fruit is somewhat sour and chelate in flavour. Amidst the dense foliage, small red flowers emerge like jewels from the deep green branch tips, effusing their sweet aroma in hopes of seducing tiny insects. Beneath the tropical sun, the insects flitter playfully among the male and female blooms, unwittingly pollinating their thankful hosts. 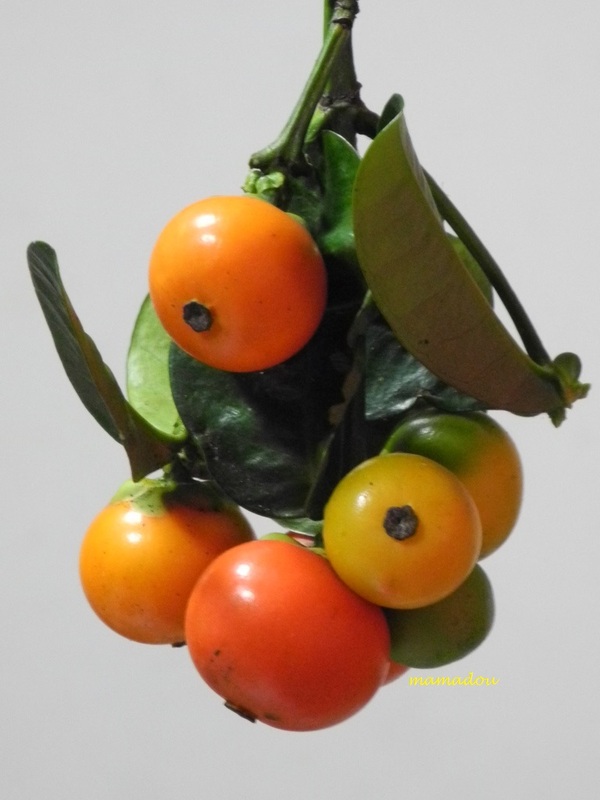 Brilliant orange fruits have very pleasant taste, with unusual sweet-sour flavoured pulp. The trees are very slow growing but long-lived and can fruit when only a few feet tall, 5-10m, crown narrow, dense, bushy. 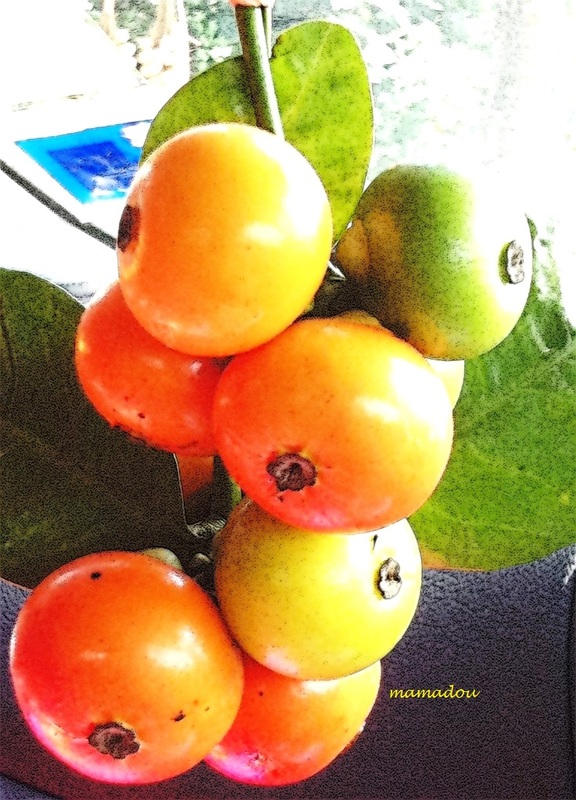 The fruit is a little gummy and sour tastes, a lot of people do not eat directly instead use them in cooking. Origin – Durian originated from Southeast Asia. The degree of ripeness has an effect on the flavor of durian. 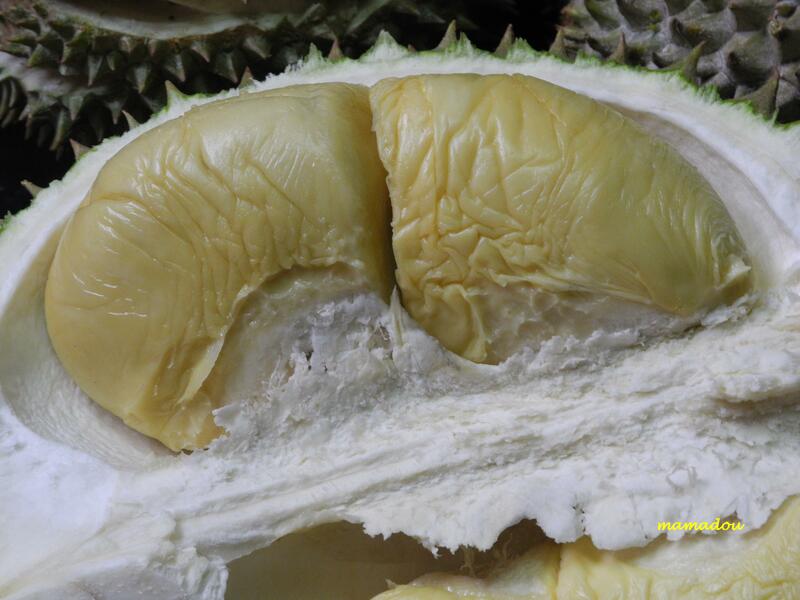 Scientific analysis done on the durian aroma has found a mixture of esters, ketones, and different sulphur compounds, but could not distinguish which one is the primary contributor of the strong odor. The odor of the edible parts of durian is so penetrating; it spreads a long distance even without removing the shell. Some like the aroma of durian very much while some others highly despise its scent. Durian trees yield two harvests per year, but it may vary in keeping with the various climates, cultivars and places. Durian trees bear fruit after 4 -5 years and they take about three months to ripe. 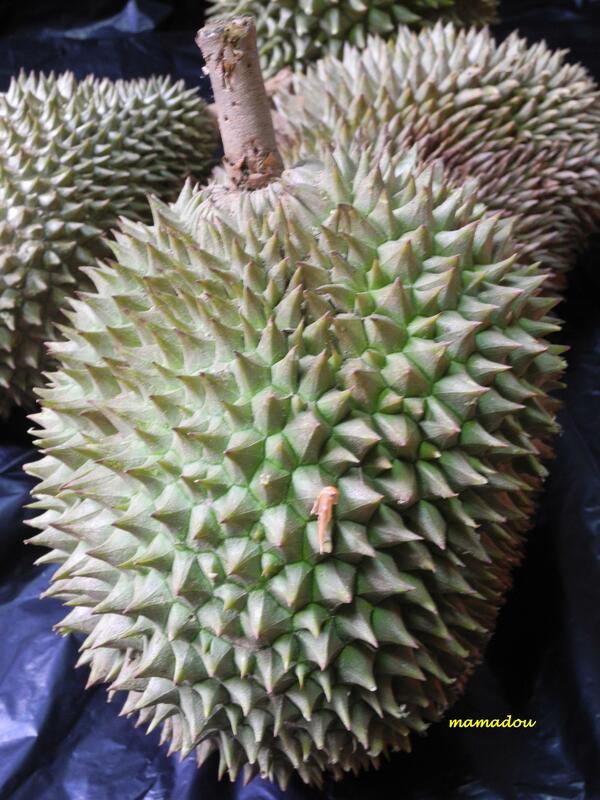 From a great variety of durian, only the Durio ziebethinus variety is marketed internationally. Durian shells are green or brown while its flesh is a luminous yellowish or reddish color. The odor of the edible parts of durian is so penetrating; it spreads a long distance even without removing the shell. Some like the aroma of durian very much while some others highly despise its scent. Without refrigeration the fruit has a shelf life of only 2 -5 days. Fermented durian, wrapped in palm leaves, remain palatable for up to a year. The preparation is called “tempoyak” in Malaysia and Indonesia and is a popular side dish. They may also be used mixed with rice and sugar to make “lempok”, or minced with salt, onions and vinegar, for “boder”. Durian seeds may be roasted in hot ashes, or cut into slices and fried in spiced coconut oil. They are eaten with rice, or mixed with sugar to make a sweetmeat. Half-ripe fruit are used in soups. The durian is not only a meal to the lover, but has in fact the requisite food values. Though the fruit has much waste, it is very filling and high in proteins, minerals and fats. 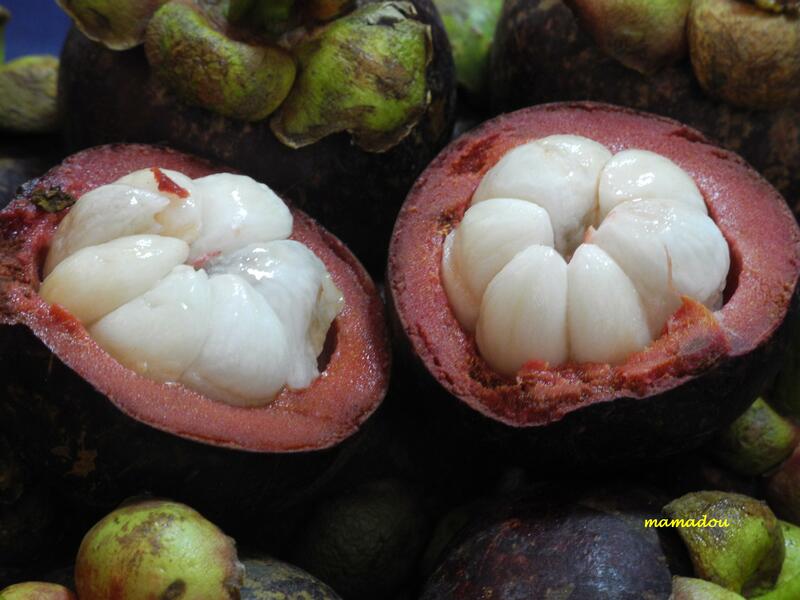 Mangosteen (Garcinia mangostana) is a tropical fruiting tree in the family Clusiaceae, native to the Sunda Islands and the Moluccas of Indonesia. It is known as manggis in Malaysia and Singapore. Mangosteen is one of the most tasty tropical fruits and rightfully deserves the title “Queen of Fruits”. Origin – Pulasan originated from Southeast Asia. Mangosteen tree is a slow-growing, erect, with a pyramidal crown tree, growing 7-25 m tall. It has scaly, dark-brown or nearly black bark, with inner bark that produce yellow, gummy and bitter latex. The leaves are evergreen, dark green, opposite, ovate or elliptic, thick with leathery texture, 9-25 cm long and 4.5-10 cm wide, with conspicuous midrib. New leaves appear rosy. The flowers, may be male or hermaphrodite on the same tree. They are 4-5 cm wide and fleshy. 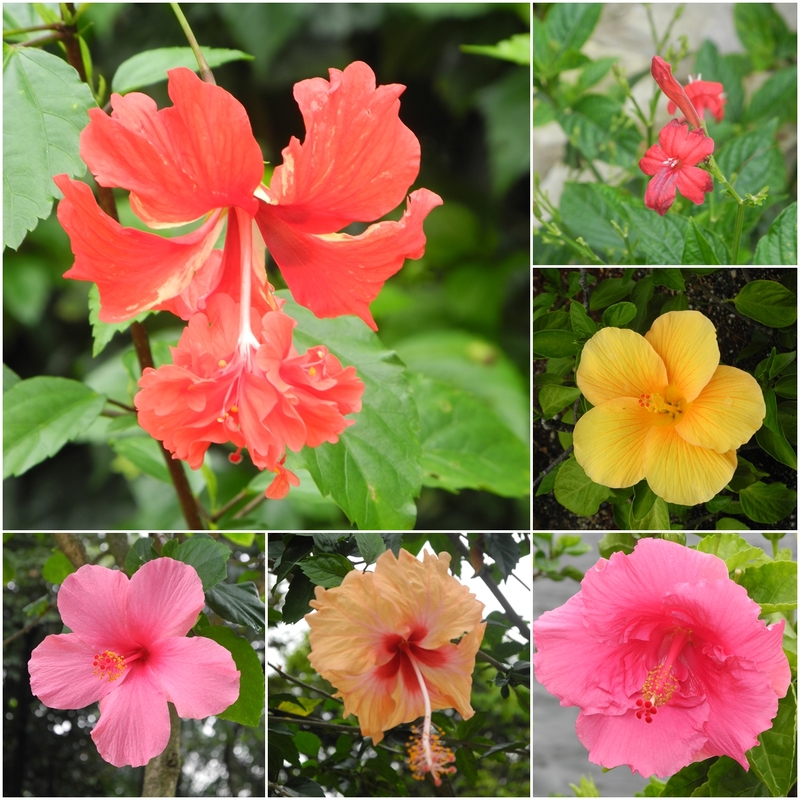 Male flowers, 4 sepals and 4 ovate, thick and fleshy petals, appear in clusters of 3-9 at the branch tips, are green with red spots on the outside and yellowish-red on the inside, with many stamens. The hermaphrodite flowers, with petals that are yellowish-green edged with red or mostly red, are borne singly or in pairs at the tip of young branchlets, and are quickly shed. The juvenile mangosteen fruit, which does not require fertilisation to form is initially pale green or almost white, ripening to a deep, purplish burgundy in 2-3 months time. Mangosteen fruit is round, dark purple to red purple and smooth externally, 3-8 cm in diameter. It is capped by the prominent calyx at the stem end, and with 4 to 8 triangular, flat remnants of the stigma in a rosette at the apex, corresponding to the numbers of aril segments inside the fruit. The best fruit has the most numbers of stigma lobes at the apex, for these have the highest number of fleshy segments and accordingly the fewest seeds. The rind, 6-10 mm thick, contains purple, staining juice and bitter yellow latex. The purple juice may stain skin or fabric. The flattened seeds are ovoid-oblong, 2.5 cm long and 1.6 cm wide, and cling to the arils. The white arils is sweet, tangy, fibrous with slightly acidic taste. Mangosteen is delicious and usually eaten fresh as dessert , rich in xanthones and tannin and is commonly used as an astringent, which are known to help your body function healthily. It is also made into jam. 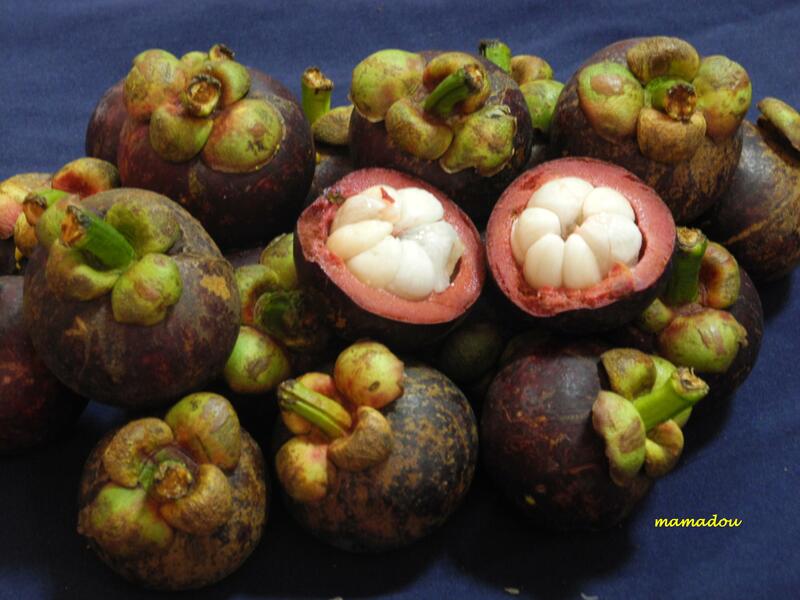 Mangosteen is delicious and usually eaten fresh as dessert. It is also made into jam. The rind of the mangosteen is rich in xanthones and tannin and is commonly used as an astringent, which are known to help your body function healthily. In addition to this, each serving of this fruit can contain up to five grams of fibre. Xanthones are the name given to a group of polyphenolic compounds, which are similar in structure to bioflavanoids and are biologically active. They are very rarely found occurring in nature, and the majority of them are found in just two different families of plants. So far, there have been two hundred xanthones that occur naturally which have been identified, and of those two hundred, forty were discovered in the Mangosteen fruit. Xanthones, along with their derivatives, have been scientifically proven to have many benefits. Some of these are anti-inflammatory properties, anti convulsion abilities and anti-allergic properties. Other components that are found in Mangosteen also have some medicinal qualities, and examples of a few of these components would be catechins, sterols, polysaccharides and proanthocyanidins. While these compounds are not as nutritionally important or as biologically active as xanthones, they still go a long way in providing the Mangosteen with the medicinal benefits that it is treasured for, because many of these components are antioxidants. Pulasan (Nephelium mutabile) is a tropical fruit closely related to the rambutan, in the family Sapindaceae, native to Peninsular Malaysia. The name pulasan is derived from Malay word ‘pulas’ meaning twist, in referrence to the act of opening the fruit via twisting. It is known as pulasan in English, Spanish and Malay, kepulasan in Indonesia, bulala in the Philippines, and ngoh-khonsan in Thailand. Pulasan is common in Southeast Asia and the Philippines, and rare to the rest of the world. Origin – Pulasan originated from Malaysia. Pulasan tree is a tropical ornamental tree, growing 10-15 m tall, with short trunk, 30-40 cm diameter. The branches are brown and hairy when young. The pinnate leaves are alternate, 17-45 cm long, with 2-5 pairs of opposite leaflets, oblong or elliptic-lanceolate, 6-17.5 cm long and 5 cm wide. The leaves are dark-green, slightly wavy on the upper side, and pale bluish-green with few hairs on the underside. The petaless flowers are small, greenish, with 4-5 hairy sepals, borne singly or in clusters, on erect, axillaries or terminal branches. The panicles are covered with fine yellowish or brownish hairs. The fruit is 5-7.5 cm long, ovoid, red or dark-red in color. The fruit is covered with short, stiff, fleshy straight spines, 1 cm long. This ovoid dark red colour fruit has a thick, leathery rind closely set with narrowed, blunt tipped tubercles. The straight spines of the fruit grow up to 1 cm long. The oblong shaped seed appears to be flattened on one side with grayish brown in colour. On by twisting the fruit with both the hands, the fruit can be opened and the flesh can be consumed. Pulasan is juicy and sweet, usually eaten fresh, though it resembles much like Rambutan, it is different from Rambutan and haves its own characteristics. Pulasan is sweeter than rambutan and lychee. The wood is light red, harder and heavier than that of rambutan. The decotion of the fruit is highly used bathing fever patients. There are two varieties of Pulasan one is dark red and the other one is light red. The dark red fruit haves a seed that separates easily from the flesh whereas the light red fruit haves a seed that sticks on to the flesh of the fruit. The seed of pulasan can be eaten raw, and has a flavor quite similar to that of almonds. 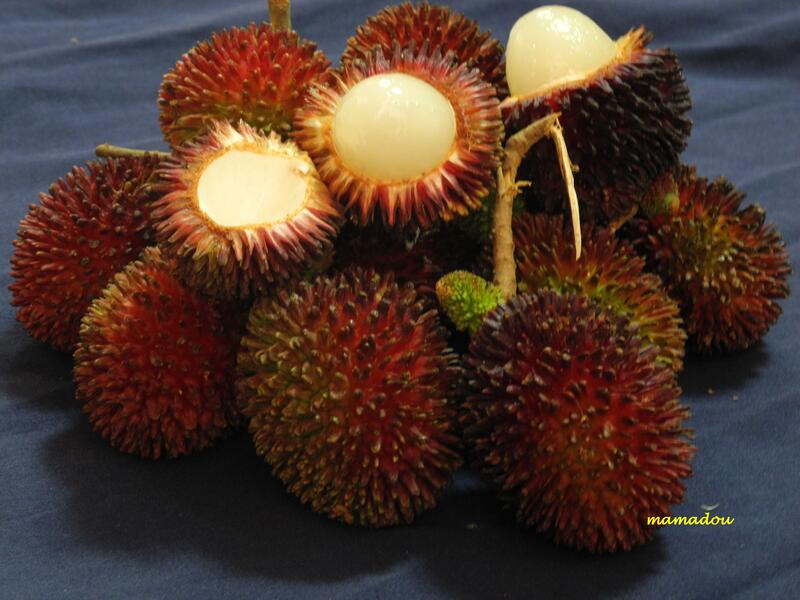 Pulasan is propagated by seeds which can be either male or female, but there are a number of named varieties propagated by grafting and air layering. The seeds lose viability quickly, and should not be allowed to dry out. Germination occurs in 10-15 days. Seed propagation is not usually preferred, as the trees may be males or have fruit of inferior quality. Both bud and approach grafting are used. Grafted trees begin to produce fruit at about 3-5 years. 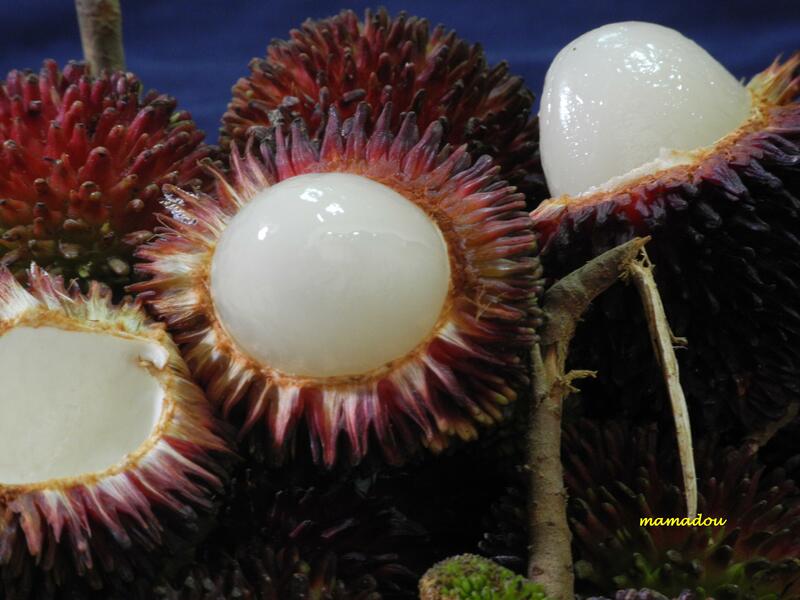 The most important related species is the rambutan (Nephelium lappaceum), but there are at least 30 other wild species of Nephelium with edible fruits. The pulasan is primarily eaten fresh, but can also be used in jams and juices. 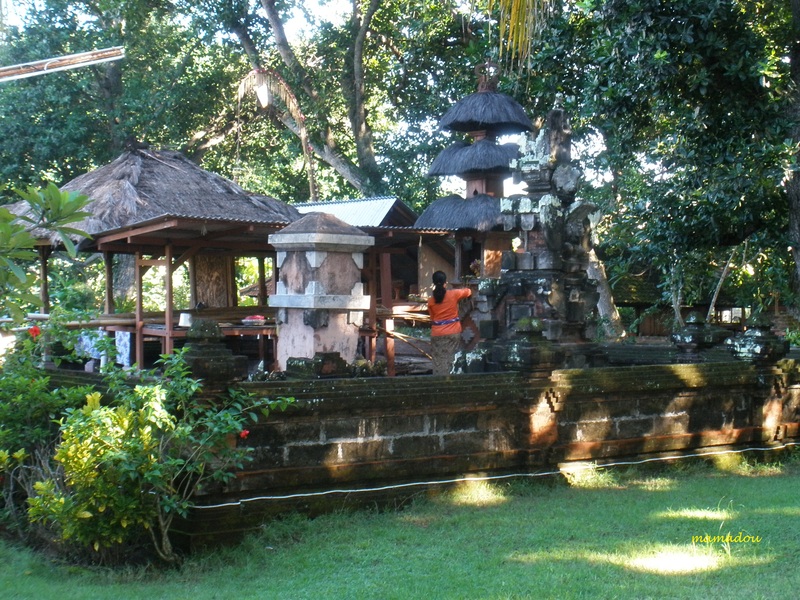 Sanur is one of the main beach resort areas on the south coast of Bali. 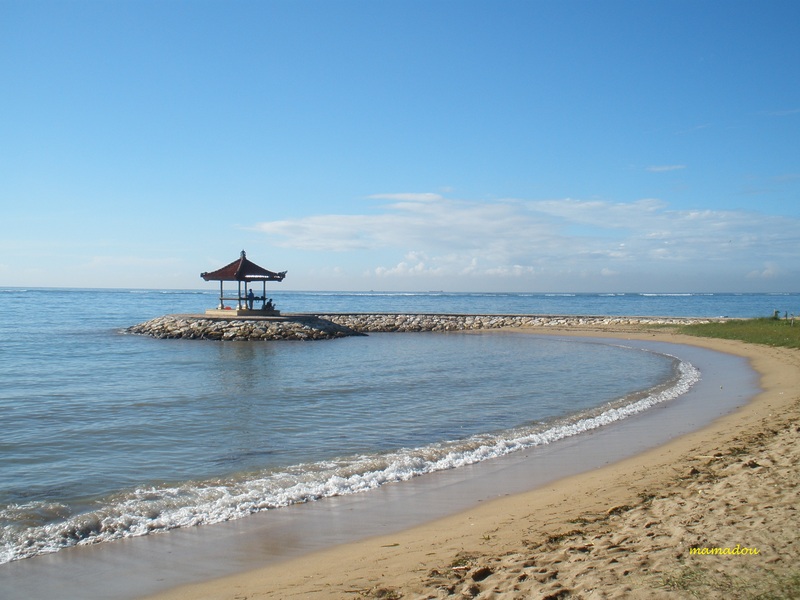 Sanur Beach is a beautiful white sandy beach with calm and warm seawater located in east part of Denpasar Town. 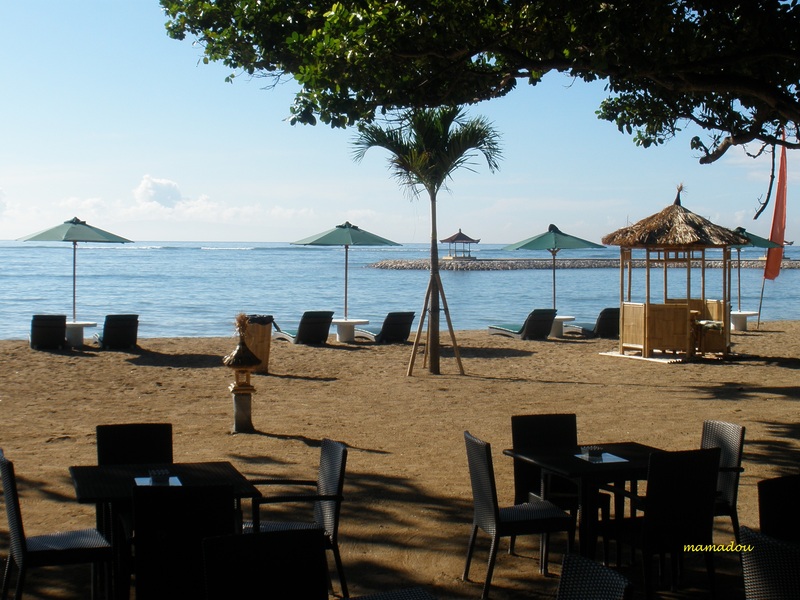 The beach location in eastside and south part of Sanur Village is an edge of Indonesia Ocean. This place has famous since long time, especially when the happening of the Puputan Badung war on 20 September 1906, where that moment the Dutch colonist land its army in this coast. There is a stone monument found in this place as an inscription of Sri Kesari Warmadewa King with the palace in Singhadwala year 917, whereabouts now there are in Blanjong, southern part of Sanur Beach. 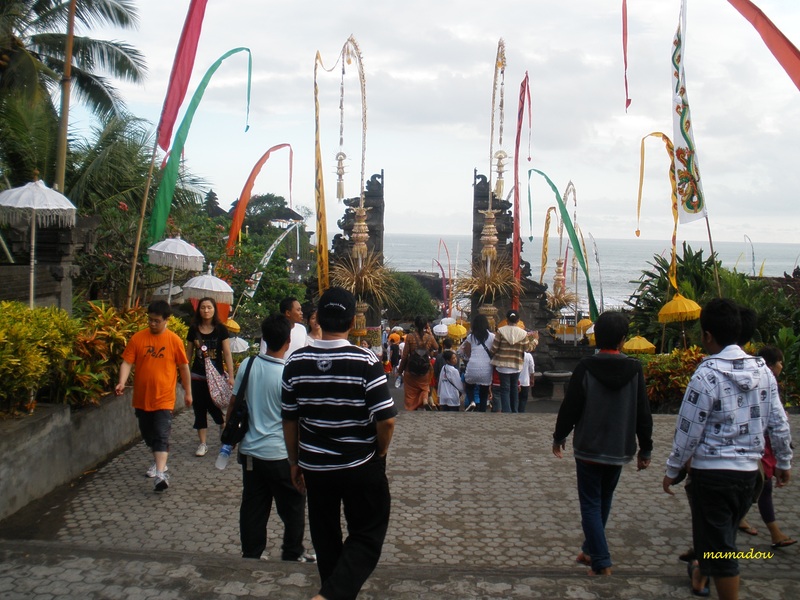 Sanur originates from two words, “Saha” and “Nuhur” which literally means the passion to visit a certain place. 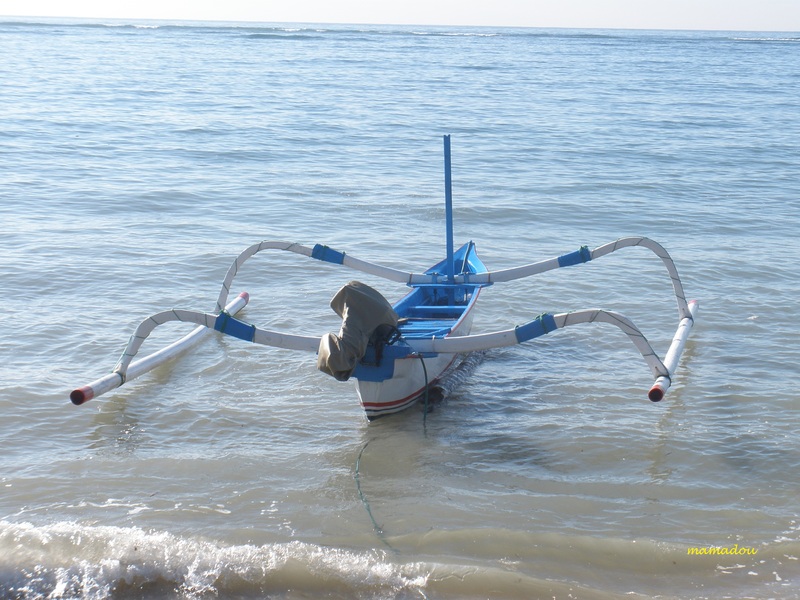 Sanur is famed for its beautiful strip of pure sandy beaches across the coastal line. 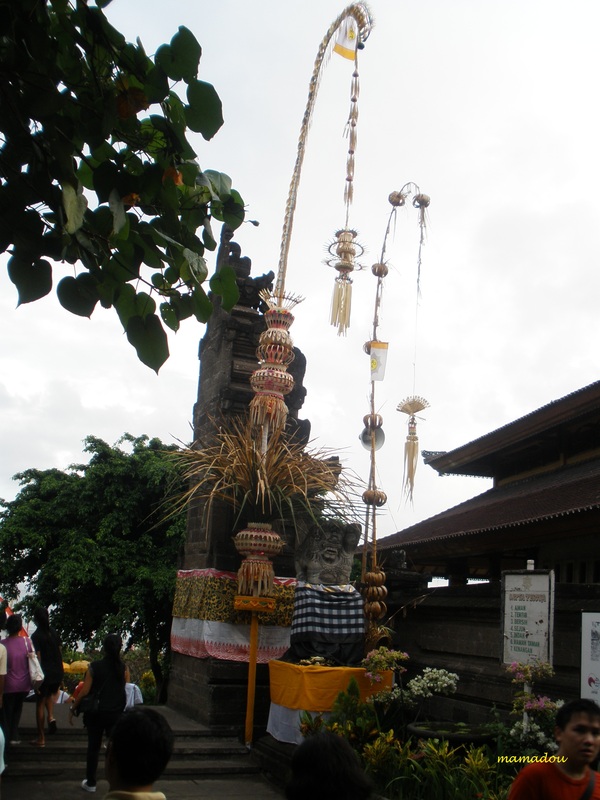 It is also famed for its’ spectacular sunrises which literally marks a new day in the life of the Balinese. A talented laid back atmosphere is what is unique about the village of Sanur where hospitality is intertwined with the traditions of Balinese culture and religion. The atmosphere from sunrise till sunset provides endless opportunities of discovery into the daily lives of the Balinese, where each corner of the village provides a certain exploration for every visitor. Lines of shaded trees along the roads, a stretch of beach for sunbathing, a strip of shops for shopping and a variety of restaurants for wining and dining, the option is endless in Sanur. 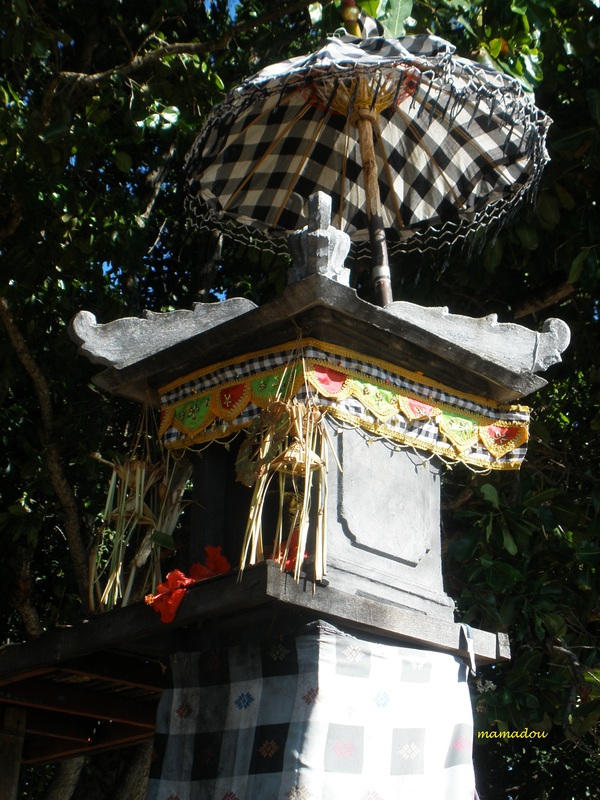 Sanur also represents a name that carries important history for tourism in Indonesia, and Bali more specific. It was on the beach of Sanur that the first Netherlands troops set foot on the island of Bali in 1906. This was also the exact place that the first war occurred between Netherlands against the community of Bali in defending their land from colonialism. 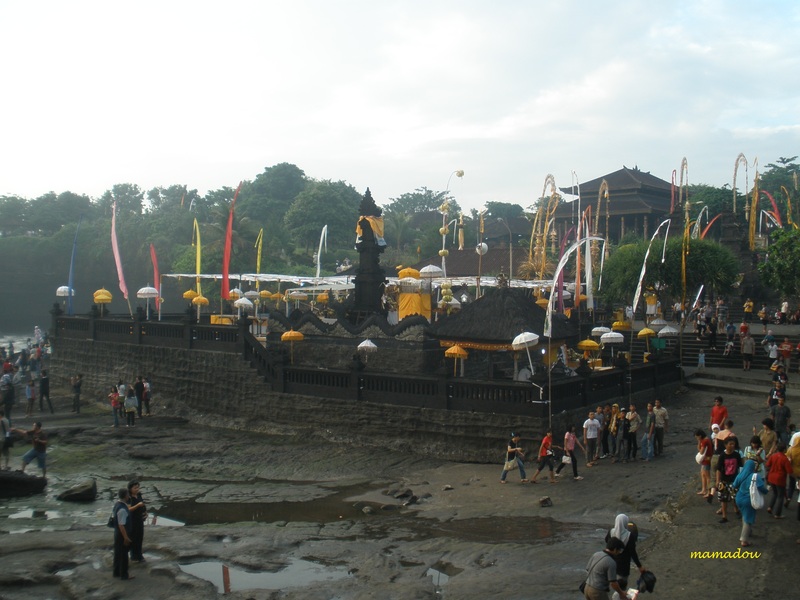 This war was later known as the Puputan Badung, a heroic event that is strongly remembered by every individual Balinese until today’s generation. The Le Mayeur Museum is a house structure containing some examples of the work of Belgian artist Adrien Jean Le Mayeur de Merpes. Serangan island or Turtle Island is reached is connected to the mainland by a causeway and really only accessible at low tide. 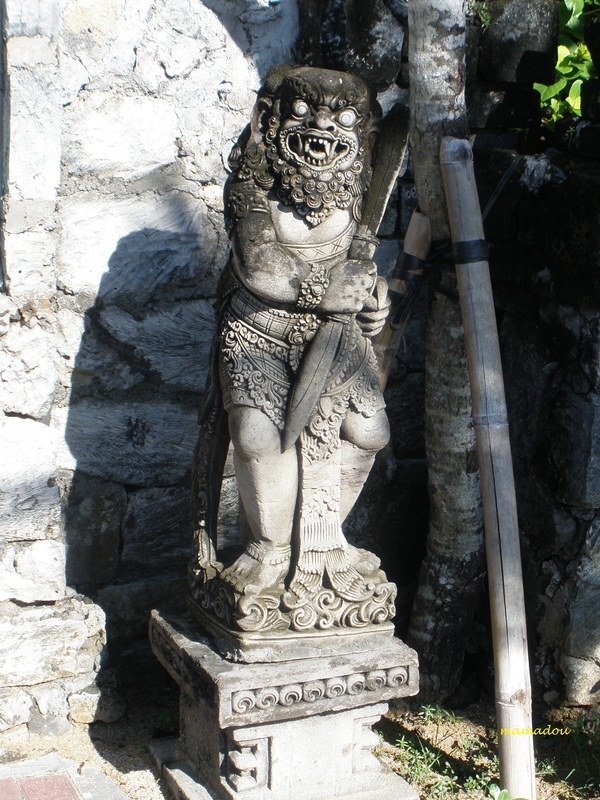 The island is also home to one of Bali’s six most sacred temples – Pura Sakenan. Located on Jalan Bypass Ngurah Rai at Suwung Kauh, the information centre is an education in itself on the ecology and management of Mangroves. 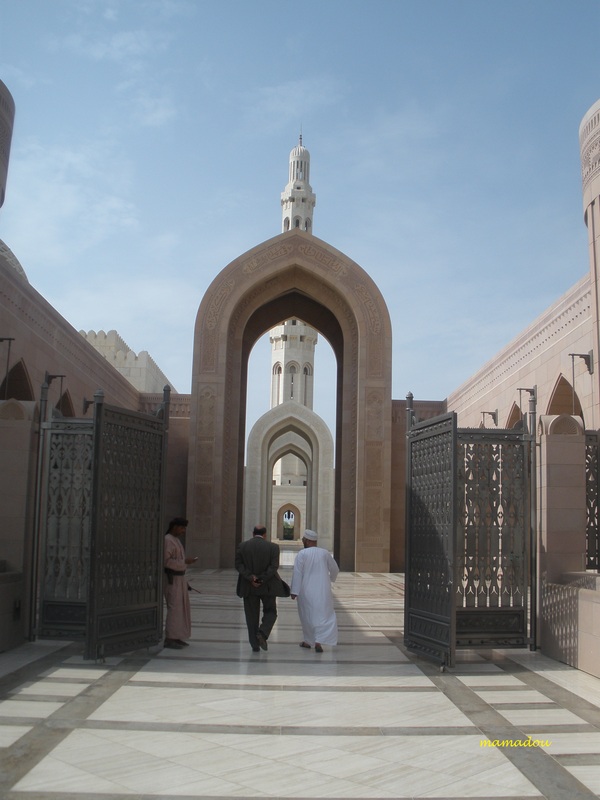 There are two trails to choose from – a short route of about one hour, and the other, a longer route of nearly two hours. Sanur Beach began offering shoppers a new way to do their weekly purchases of home-made breads and organic farm produce through the trial-launch of a new concept Farmers Market according to an article in the Bali Discovery. The Sanur Village Festival is a 5 day event runs from August 15th-19th and showcases some of the area’s favourite businesses and other activities such as Balinese kite flying and cookery. Sanur Beach is a beautiful white sandy beach with calm and warm seawater located in east part of Denpasar Town and located only 18km from the airport. 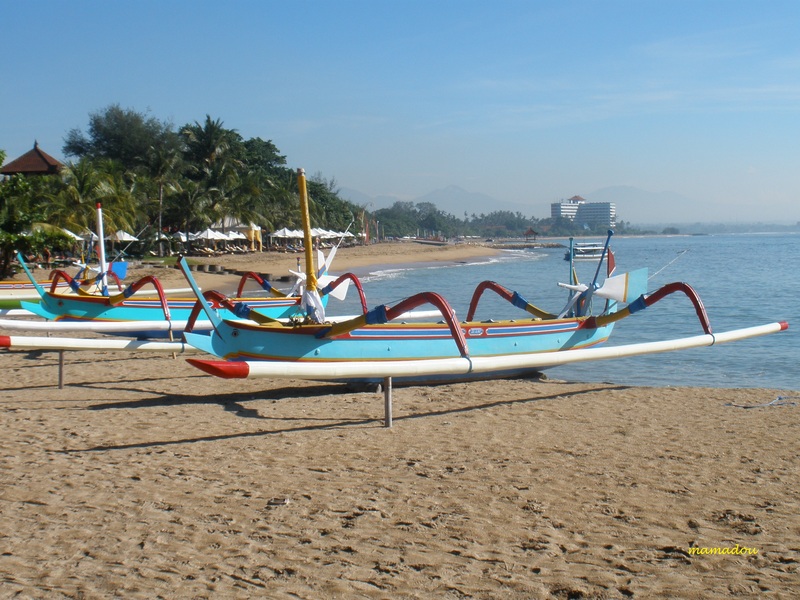 Sanur is one of the main beach resort areas on the south coast of Bali. Sanur is located NorthEast of the airport in Tuban. 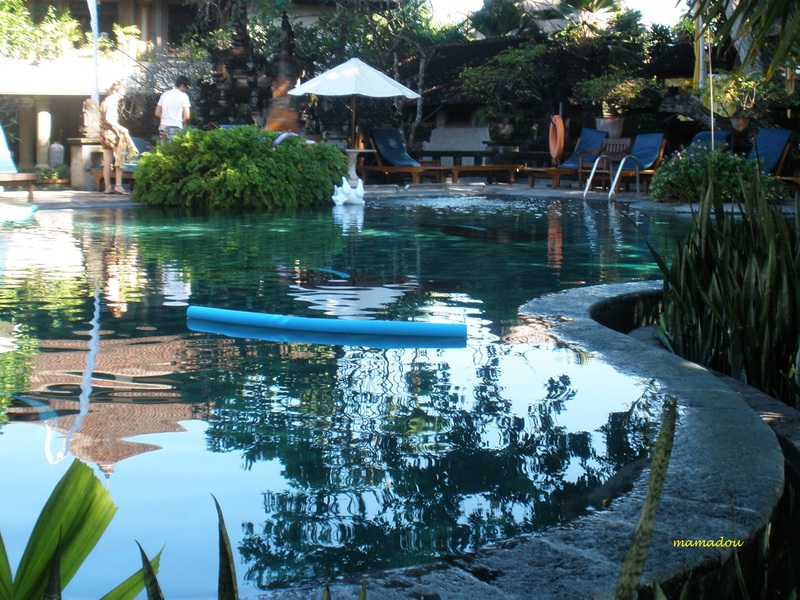 Located 18km from the airport, Sanur is a a handy place for a new arrival. Airport taxis might charge around Rp70,000 to Sanur and the journey is around 20-25 minutes. For people choosing Sanur over Kuta or Nusa Dua, the advantages are a less intense atmosphere than Kuta and a more genuine one than Nusa Dua. 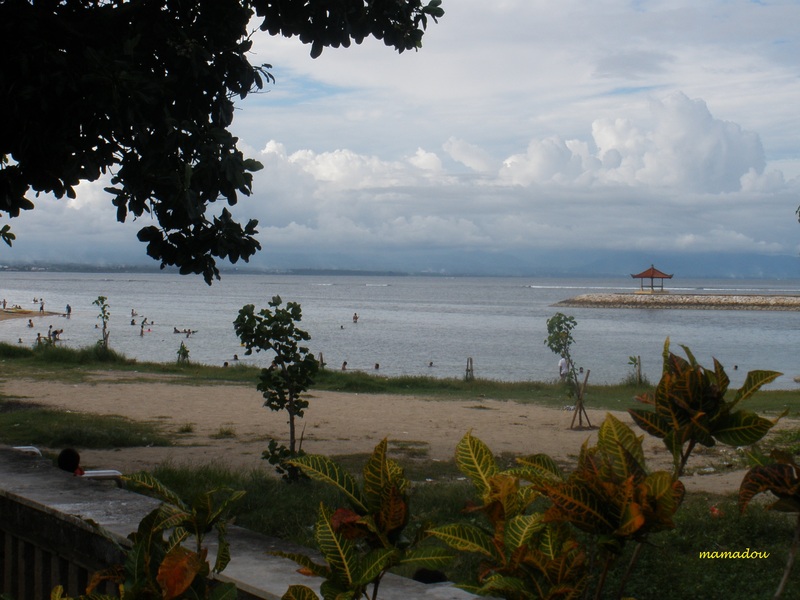 Sanur has a reef making it ideal for surfers and also people with young kids inside the reef. Sanur does not get a strong beach break like Kuta / Seminyak. Swimming is only possible at high tide as low tide exposes the reef. Swimming outside the reef is not recommended. 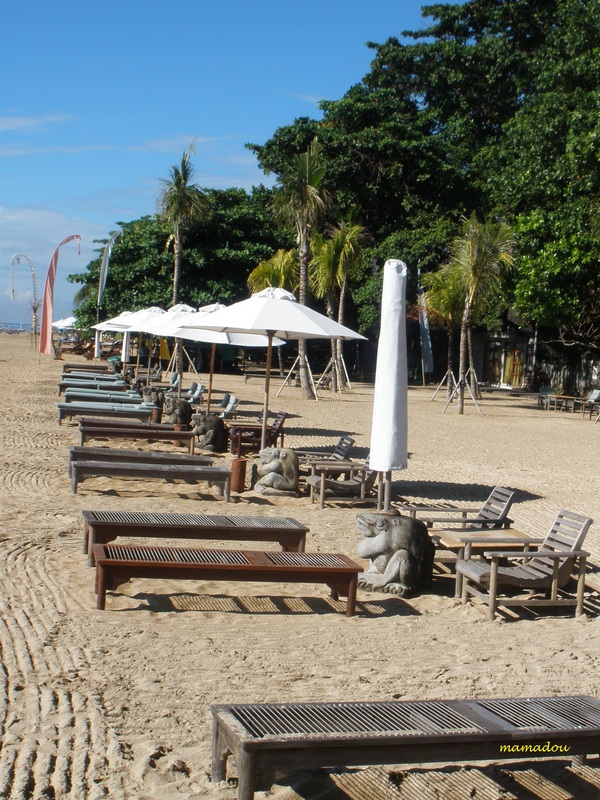 One of the most pleasant aspects of Sanur is its large expanse of beach front. A footpath covers the entire 5kms allowing visitors to stroll along and explore, stopping when they feel like it for a drink or snack at a beach side restaurant. The sand quality is good in Sanur, yellowish in color and fairly clean. The best spots of beach are in the outside the Inna Grand Bali Beach hotel in the north and outside the Gazebo hotel in the south. One of Bali’s most important sea temples, Pura Tanah Lot (“Temple of Land in the Middle of the Sea”) is a spectacular sight, especially at sunset. The tiny island was formed by the gradual erosion of the ocean tide over thousands of years. 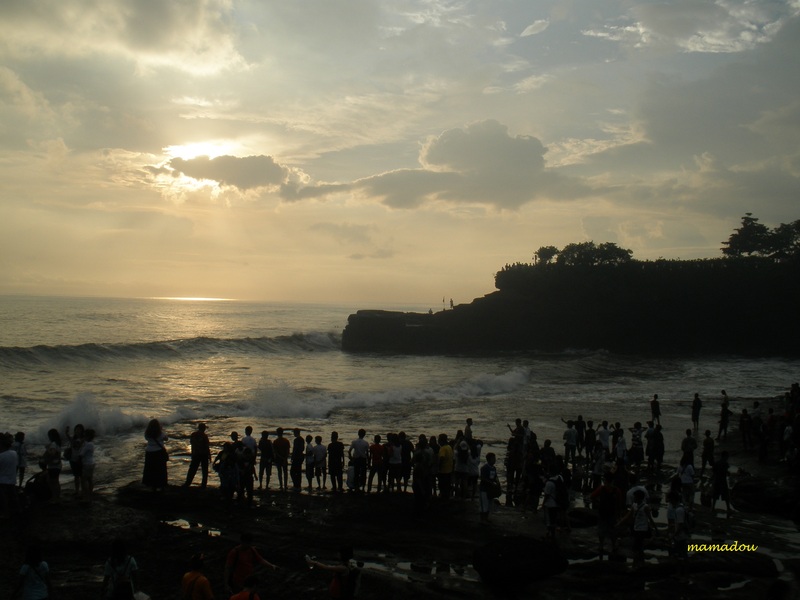 Tanah Lot means “Land [in the] Sea” in Balinese language. 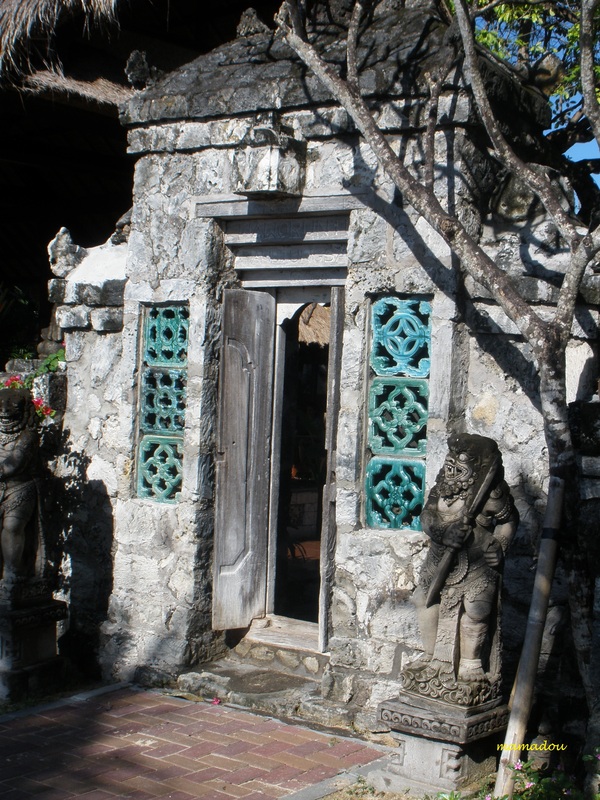 Located in Tabanan, about 20 km from Denpasar, the temple sits on a large offshore rock which has been shaped continuously over the years by the ocean tide. Temple of Tanah Lot stands on a rocky island just off the southwest coast of Bali. 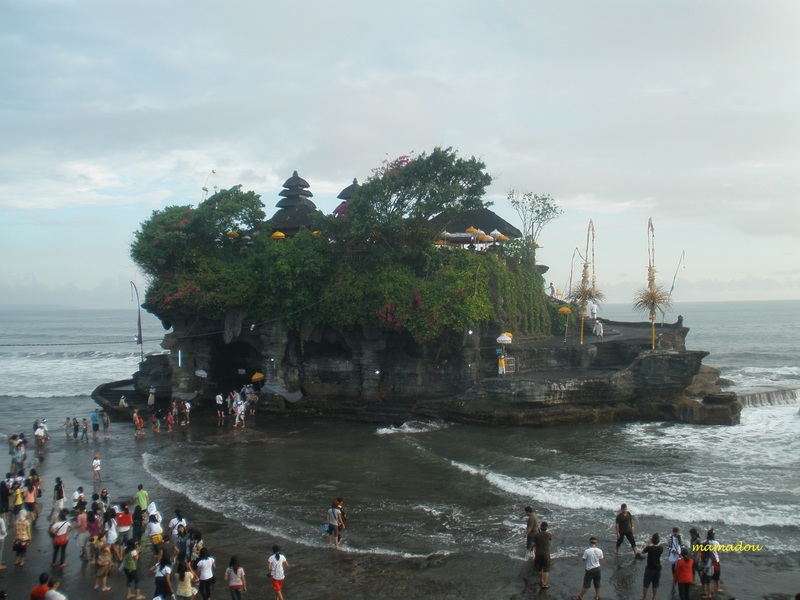 One of Bali’s most sacred sea temples, Tanah Lot is dedicated to the guardian spirits of the sea. The temple itself is said to be guarded from evil by the sea snakes that inhabit the caves below. 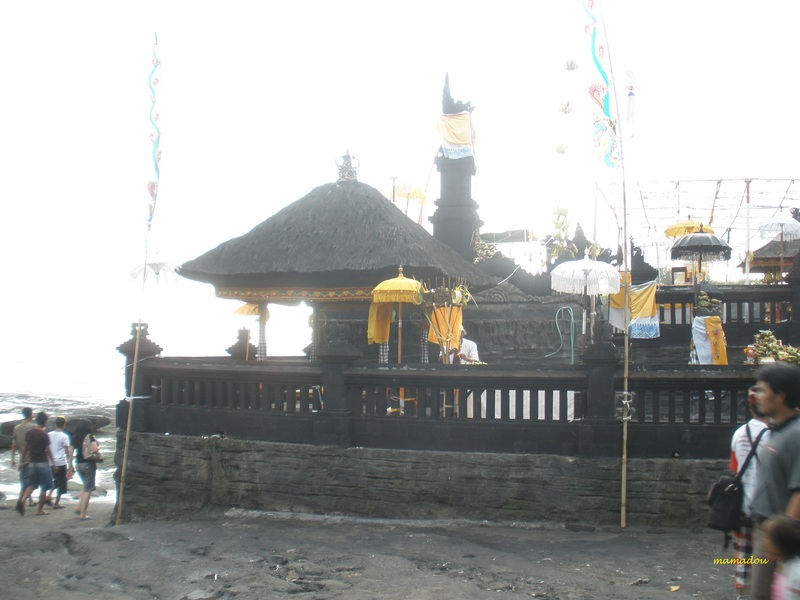 Tanah Lot is claimed to be the work of the 15th century priest Nirartha one of the last priests to come to Bali from Java. During his travels along the south coast he saw the rock-island’s beautiful setting and rested there. Some fishermen saw him, and bought him gifts. Nirartha then spent the night on the little island. 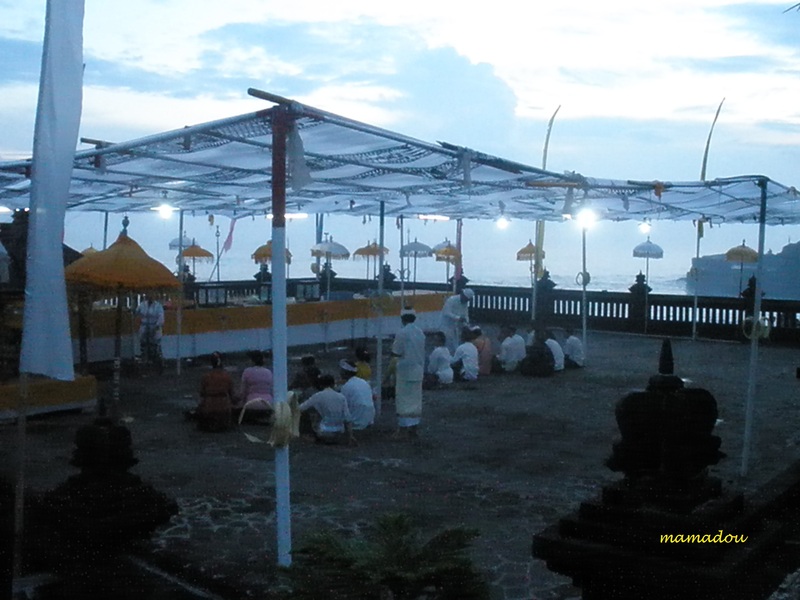 Later he spoke to the fishermen and told them to build a shrine on the rock for he felt it to be a holy place to worship the Balinese sea god. 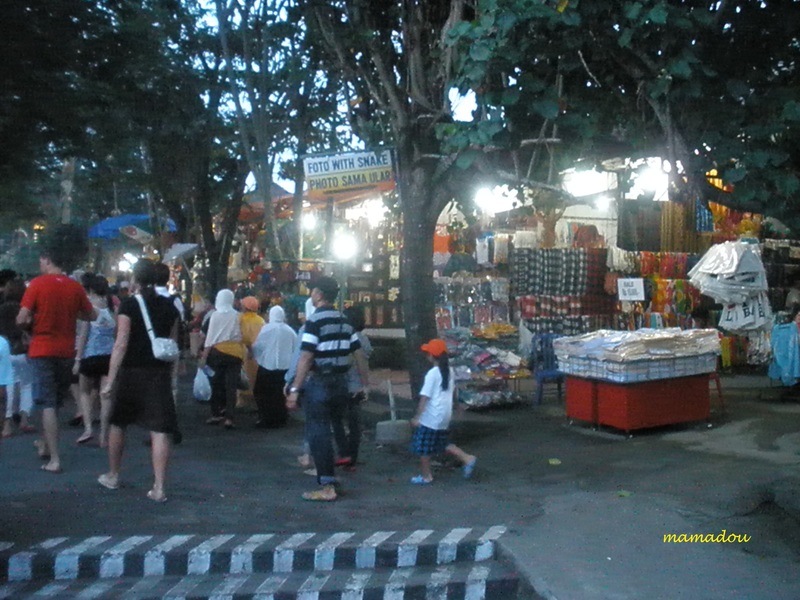 To reach the temple, visitors must walk through a carefully planned set of Balinese market-format souvenir shops which cover each side of the path down to the sea. On the mainland cliff tops, restaurants have also been provided for tourists.